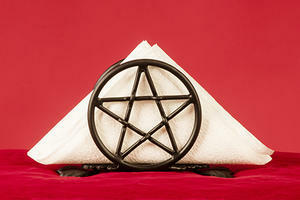 Napkin holder in powder-coated black steel with a pentagram. The Pentagram measures 10.5 cm in diameter. Napkin rack measures a total 17cm.